Babies don't come with instruction manuals. She won't be able to tell you when she is hungry or when she wants more. She cries to let you know she wants her diaper changed, she wants to be cuddled; she wants a bottle or she has had too much to eat. 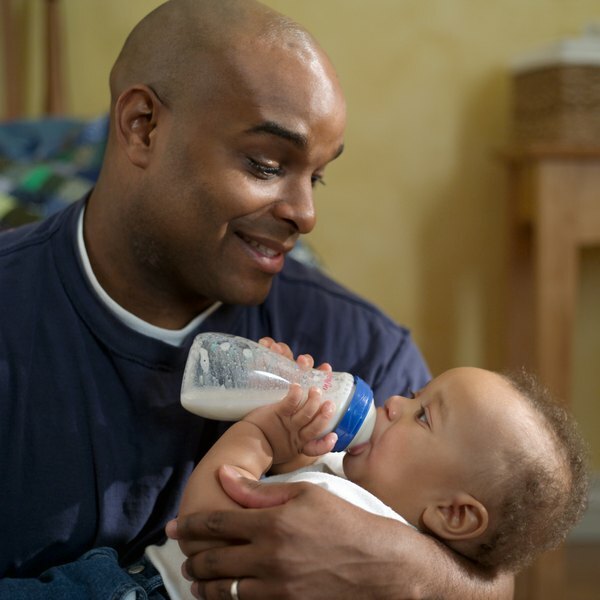 It is hard to know how much you should feed a 3-month-old but here are some things to know. The USDA recommends feeding 24 to 32 oz. of formula per day in six to eight bottles per day. At 3 months of age, she should not consume any water or any other foods. Cereal, sugar, or Karo syrup should not be added to her bottle. Appetite is affected by many factors including growth spurts, time between feedings and health. Bowel movements will also affect the amount of formula your baby wants to consume. If she is constipated, she will not feel like consuming additional formula. She should be having six to eight wet diapers per day and a bowel movement daily or every other day, whichever becomes her pattern. This will become unique to her. Some infants have bowel movements multiple times per day, others daily, others every other day. Problems arise when she is straining to pass stool or is fussy with stooling. When she is sick, vomiting or if she has reflux, she may not feel like eating as much either. Check with your doctor if these symptoms persist or you think she may be dehydrated. Your pediatrician may prescribe medication for reflux or treatment for an illness, if necessary. Your baby's weight should be monitored, as well as weight-for-length to ensure she is remaining proportional on the growth chart. This will serve as a guide to determine if she is getting enough formula. She may consume more or less than the recommended 24 to 32 oz. of formula per day. If she is maintaining her growth curve and not fluctuating, then she is consuming the appropriate amount for her. Each infant will vary; you cannot compare, even with other girls her age. It is imperative to follow her own trends. You really know a 3-month-old has had enough to eat when she sleeps soundly and grows appropriately. She is smarter than you think and will let you know when she has had enough to eat. Ensure growth along her growth curve and regular bowel movements as two primary goals and that will lead to a healthy, happy baby. Ellen Sviland is a dietitian who has been practicing nutrition for more than eight years, specializing in nutrition for children. Sviland holds a Master of Science in clinical nutrition from the University of Alabama at Birmingham.